This blouse came sans the bow, an added ribbon turned bow goes a long way. Loving the dots on dots!! You have pulled this off so well!! The pumps are a perfect match with it too! WHOAH! I always love it when you do dots, and this outfit is so FUN! wow. i am impressed how well everything works together in a fun way! love how u added the ribbon as well. 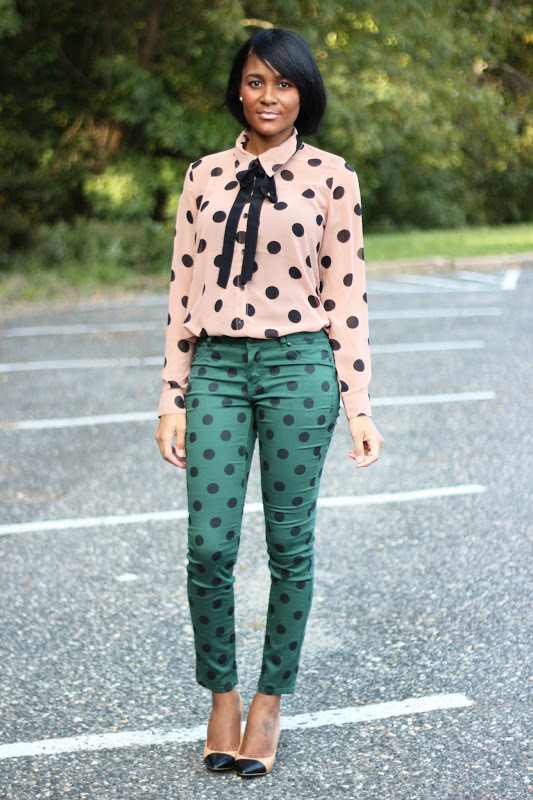 This a great outfit, I love the polka dots!!! Great outfit and you do pull it off very it well! Absolutely stunning! I love polka dots and your outfit is amazing. Thanks for sharing. Love this! I also posted about dots today! Do you know how much I love your outfit? I don't think you do. 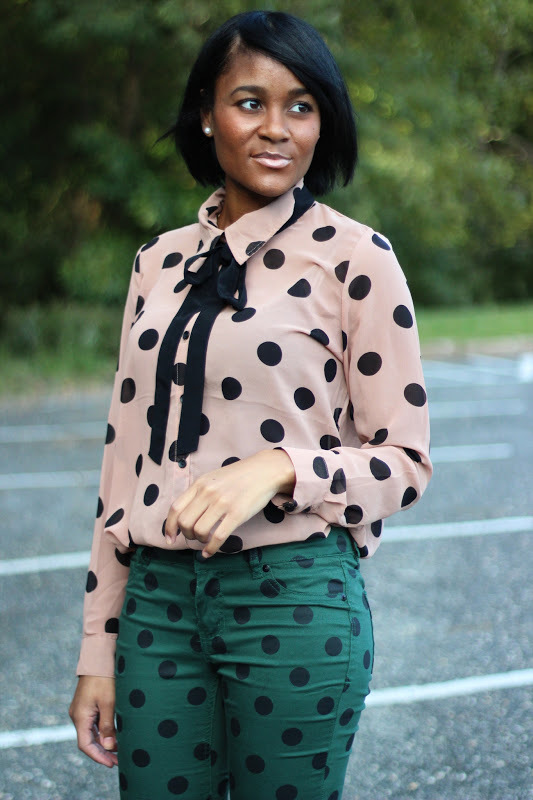 Funny enough, I have a post coming up today with me rockin' polka dot tights. Great minds. I'm loving the colors! You look like a nouveau creamsicle! Oh goodness you look adorable. I love the dots!!! Very creative!!! Love the dots combination! Polka dots are my favorite! Very cute, and those pants fit you so well! circle circle, dot dot. now you've got your cootie shot!!! 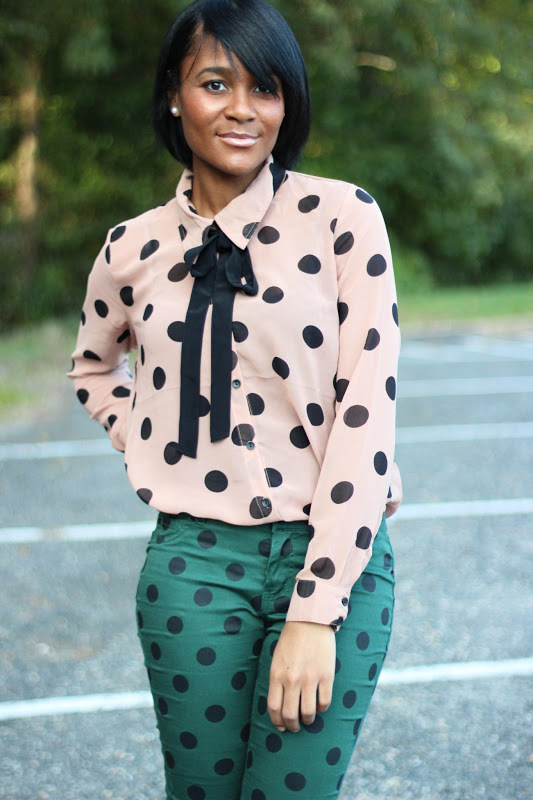 we <3 this head to tow polka dot look!!! love the dots on dots too cute! Wow, I love this look. Thanks for commenting on my blog, want to follow each other? I think your style is very brave..bold and inspiring. LOVE.